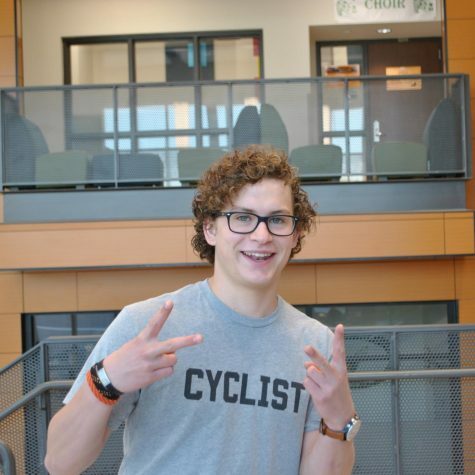 Michael is an accomplished mountain biker and road biker who enjoys working at Penn Cycle in Richfield. He is friends with Hans and they’re on the bike team together. In the winter, you will find him snowboarding or teaching little kids how to snowboard at Hylands Hills. Michael prides himself on watching every episode of the popular British tv show, Top Gear. In his free time, he enjoys being a photographer, taking photos of mountain bikers, his travels, and other people. Check his insta out @mikejcrater. He also enjoys spending his Wednesday nights in a small group at CPC Church. In the future, Michael would like to either become a writer and/or photographer or join the military.